President Nicolas Sarkozy vowed Monday to avenge the murder of a 78-year-old French aid worker killed in the Sahara desert by Al-Qaeda's North African wing. Sarkozy spoke after Al-Qaeda in the Islamic Maghreb (AQIM) declared it had killed hostage Michel Germaneau as revenge after French and Mauritanian soldiers stormed one of the group's camps in Mali and killed six militants. "Dear compatriots, this crime committed against Michel Germaneau will not go unpunished," Sarkozy said, warning French nationals to avoid the arid Sahel region running through Mauritania, Mali, Niger and southern Algeria. Sarkozy did not reveal what France planned to do in response to the killing, but experts and military officers told AFP to expect an increased use of spies and special forces to target militant groups in the Sahel. Defence Minister Herve Morin cut short an Asian tour to fly back to France and help prepare the military response, aides said. "We're faced with a totally determined group, a phalanx waging a holy war that refused to negotiate with us by direct or indirect means," Morin said. "The Mauritanians were informed about an imminent attack by 150 Al-Qaeda fighters based in Mali," he told France Inter radio. "We decided to help out in part of their operation, which was to intervene in one Al-Qaeda camp." Morin said Al-Qaeda has around 500 militants in armed groups scattered around the Sahel. Mauritanian and French forces killed at least six AQIM fighters on Thursday, but failed to find any trace of Germaneau. In Mali, a local elected official told AFP that Germaneau had been beheaded after the raid, in the presence of Abdelhamid Abou Zeid, the leader of an AQIM cell that has been blamed for killing a Briton in 2009. "He was still alive when the raid took place, but hidden in a mountainous region in Kidal, near the Algerian border," the local official said. "The area is an impregnable fortress, where Islamists have planted mines and constructed bomb shelters," he warned. Morin was speaking after an emergency meeting at the Elysee Palace in Paris between Sarkozy, Fillon, key ministers, military top brass and the heads of France's domestic and foreign intelligence agencies. Later Monday Foreign Minister Bernard Kouchner, who attended the same meeting, flew to Mauritania for talks with President Mohamed Ould Abdel Aziz. Afterwards he said that the two countries would continue their joint fight against the insurgents. "The Sahel-Saharan strip will not be left to bands of terrorists, to arms arms and drugs traffickers," he said. France already has military cooperation agreements with its former West African colonies, and helps to train and coordinate local anti-terror forces, in an area which receives around 30,000 French tourists per year. Spain, which has two of its nationals held in Mali by a different AQIM cell, condemned the killing of Germaneau as a "brutal crime." It said it would continue its efforts to negotiate the freedom of aid workers Albert Vilalta, 35, and 50-year-old Roque Pascual, kidnapped eight months ago. Privately, Spanish officials expressed concern that the more robust French tactics might have endangered the Spanish captives. UN chief Ban Ki-moon condemned Germaneau's killing as a "reprehensible act", and European Union foreign ministers denounced the "foul assassination." In Washington, the US State Department described the killing as a "heinous and cowardly act... We stand ready to assist the French government in any way that we can." AQIM took responsibility for the killing in an audio message broadcast by the Arab satellite TV network Al-Jazeera at the weekend. Some French officials have suggested that contrary to what the group had claimed, the hostage might have been killed several weeks ago. Germaneau was seized on April 19 in Niger where he had been building a school. 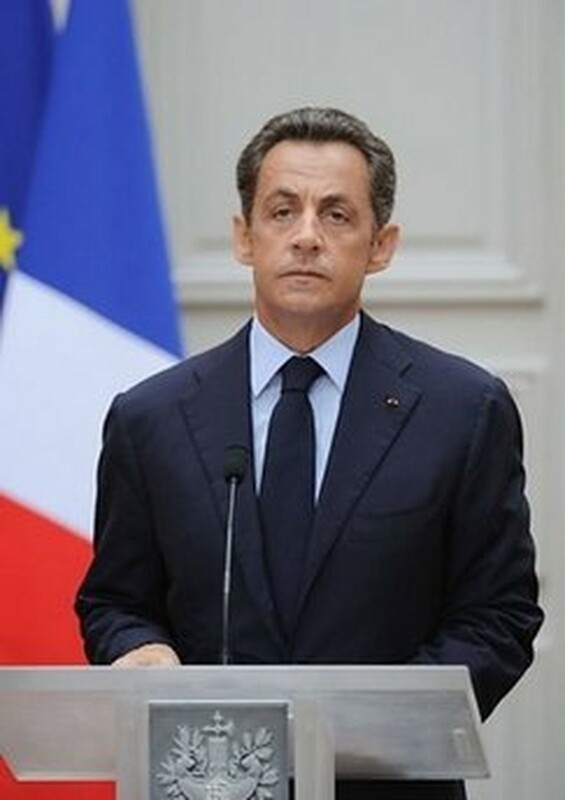 On May 14 his abductors issued a photo of an exhausted-looking hostage and a taped message in which he appealed to Sarkozy to work for his release.